We are looking for a new member for our Front of House team. Exceptional customer service is our priority, therefore experience in a busy café or hospitality environment is essential. We have a big group of lovely regulars as well of plenty of new customers every day, so you need to be welcoming, friendly and able to build rapport quickly. 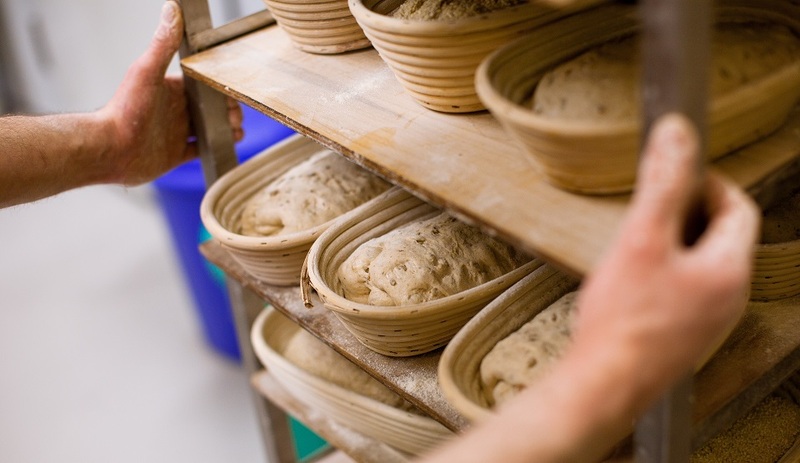 We are a busy bakery, which means we work at a fast pace, so energy and efficiency are a must! Barista experience is desirable. Great coffee is a big part of what we offer, with rotating house espressos from Extract coffee roasters and high-end equipment. 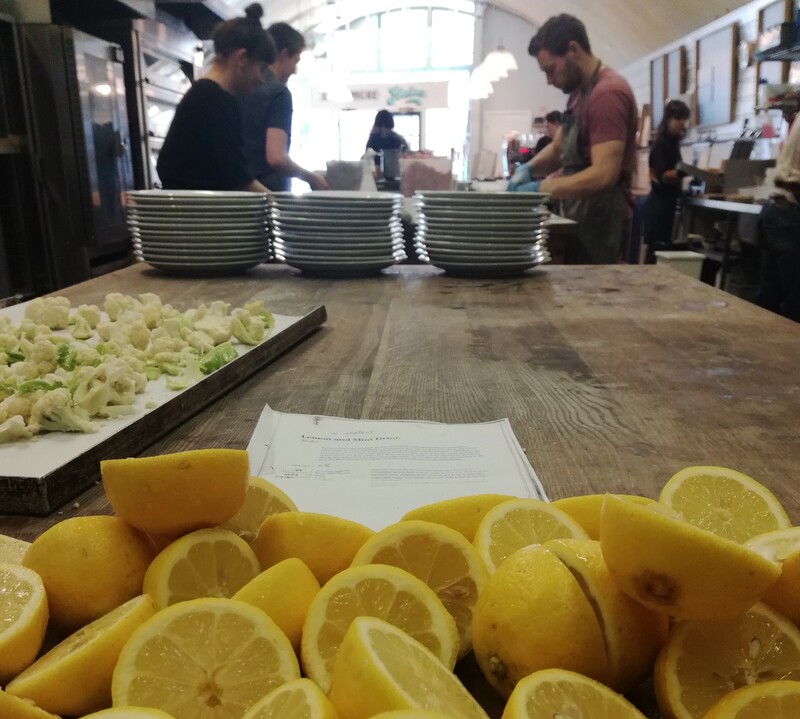 The role also includes some food preparation, taking orders for hot food, answering calls, taking customer pre-orders and day-to-day upkeep of the café space. Open from 7am – 3pm Tuesday to Saturday we offer attractive working hours, training, competitive pay, generous perks and as a small and friendly team, there is plenty of opportunity to learn and make your mark on a growing business. 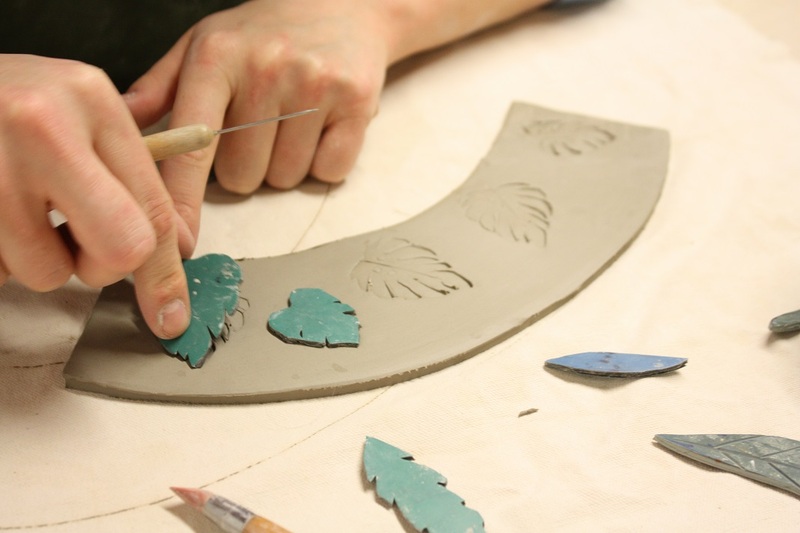 Try your hand at making a mug, jug, planter and more. In this 3-hour workshop we will be exploring various hand-building techniques, alongside surface decoration using stamps, tools or natural objects. All abilities are welcome – for those with experience it is an opportunity to expand your skills. Coffee and bakery treats are included! 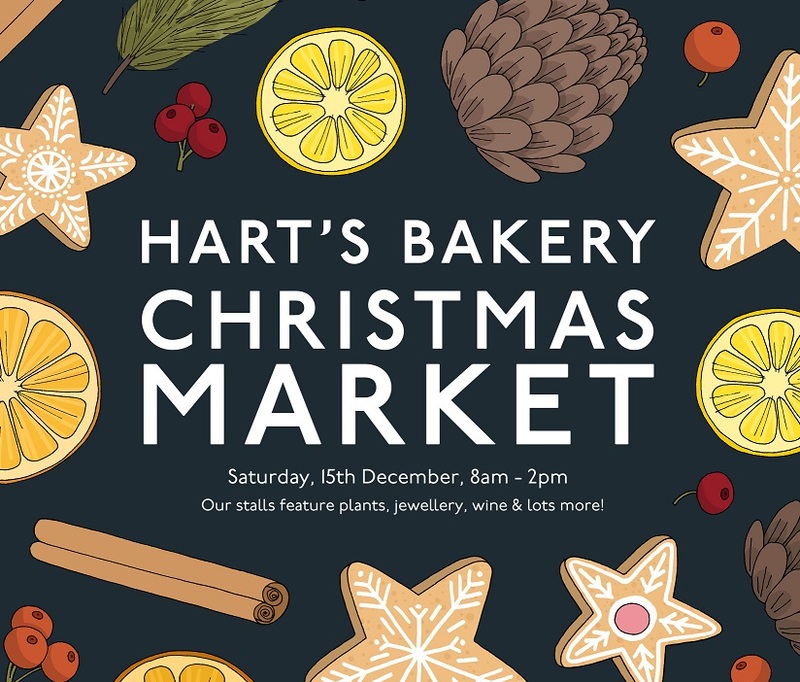 On Saturday 15th December we will be holding our Christmas market outside the bakery, and we’ve invited a selection of our favourite independents from across Bristol. Thanks to Martha Anne for our wonderful poster! 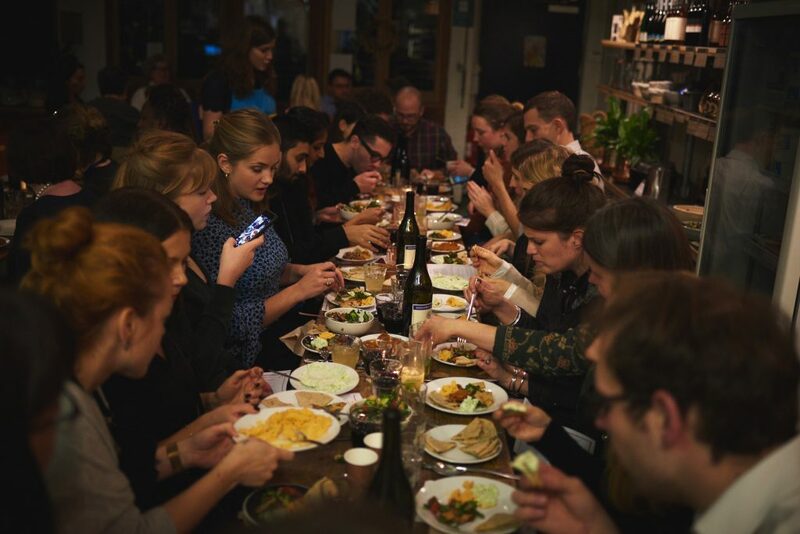 We’ve got the festive feasting and drinking covered with wine, cider, cheese, flowers and coffee. Billings and Briggs will have a selection of organic, biodynamic and natural wines with free tastings so you can try before you buy. We are also very excited to have Ingrid from Dunleavy Vineyards with her award winning 2017 pinot noir rose and a very exclusive sparking white wine – only 500 bottles produced and already over 50% sold so don’t miss out! For extra special handmade gifts you’ll find Old Market Plants, TE Pottery, Pipistrelle Design, Larch Jewellery and more to be confirmed! On Saturday 8th December, Max Minerva’s will be setting up a pop-up bookshop at the bakery, with a selection of their favourite cookery books to peruse and perhaps find a Christmas gift. Max Minerva’s are a part of a new wave of independent bookshops. Recently opened in Westbury Park by Jessica and Sam it’s already firmly part of the local community with events, author readings and an ordering service to rival any of the online giants. At the same time we will also be hosting some Bristol’s best food writers for book signings and to chat about their books. Author, food stylist and presenter Genevieve Taylor has written a number of books including most recently The Ultimate Wood Fired Cook Book. If you follow her on Instagram you’ll be rewarded with wonderful pictures of outdoor cooking (whatever the weather!) that goes way beyond the bbq classics. Her other books cover topics from soup, stews, pies and a whole book on the wonderful egg. Brilliant presents for experienced cooks and novices alike. Award-winning gardener and food writer Lia Leendertz’s 2019 Almanac revives the tradition of the rural almanac, connecting you with the months and seasons via moon-gazing, foraging, feast days, seasonal eating, meteor-spotting and gardening. This makes a wonderful gift for growers and food lovers giving a glimpse into the bounty of the coming year. Chef, food writer and mother, Claire is bringing a new approach to family cooking. Her first three books The 5 o’clock apron, National Trust Family Cookbook and the Art of the Larder are soon to be joined by New Kitchen Basics. Her recipes celebrate fresh ingredients, store cupboard basics and dishes the whole family will love to cook and eat. We’re very excited to be joined in the bakery by Finisterre for a very rare clearance sale. This is a great opportunity to grab a bargain as they make way for new season stock. Established in Cornwall in 2003, Finisterre has become synonymous with the very best of surfing, outdoor and casual wear. With a commitment to sustainability they are turning the tide against the trend for disposable fashion – creating garments to be timeless and built to last. If that wasn’t reason enough to get out of bed on a Sunday morning, the bakery will also be open for coffee and croissants. 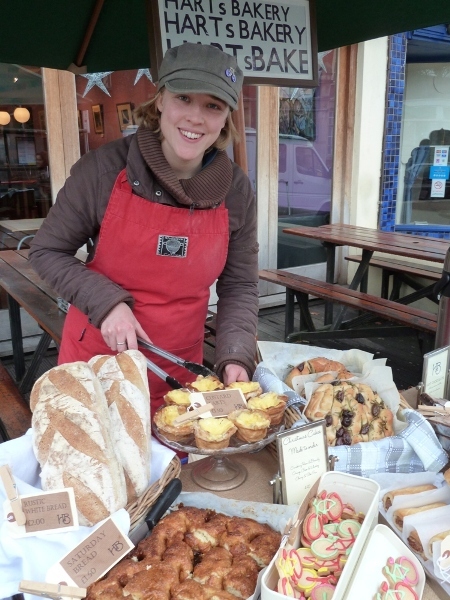 We will be using coffee beans from local roasters Triple Co Roast and our bakers will be making some extra special sweet and savoury pastries to keep you going while you browse. 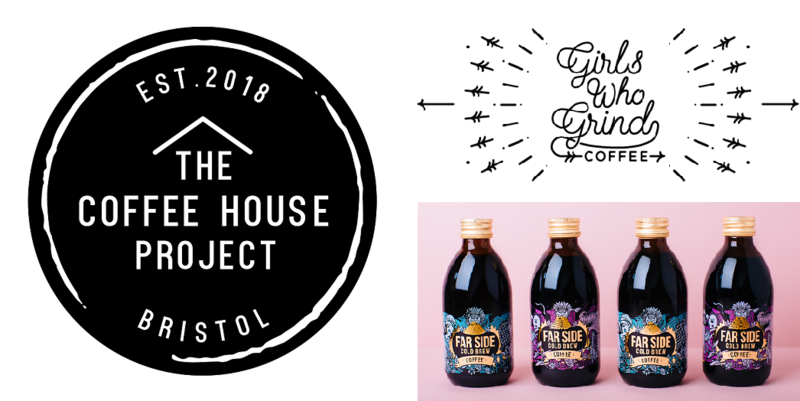 Sit in or bring your own cup if you’d like to take away – in line with our and Finisterre’s ethos to minimise our impact on the environment, no single use cups will be offered at this event. We’ll have a selection of Keep Cups available to buy if you need one! As if great coffee and pastries fresh from the oven weren’t reasons enough to pop over to see us, we have two great guests joining us this Saturday 21st July. 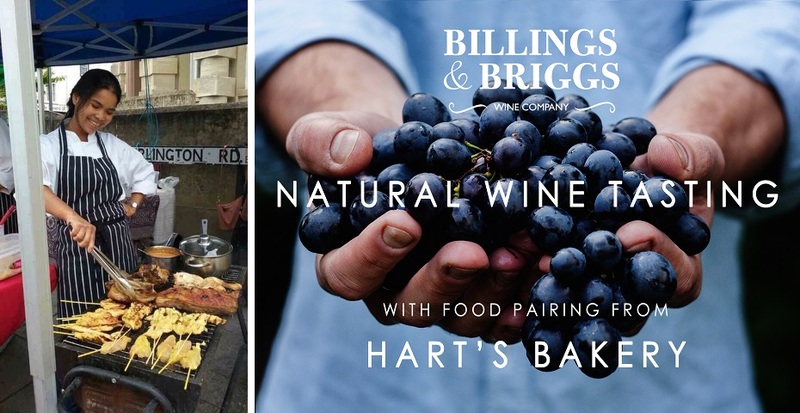 From 8am Billings and Briggs will be set up with a selection of natural wines to try and buy. They will be paired with sweet and savoury products from the bakery. This is a great chance to meet Dan and Louise and explore a group of wines all made using sustainable farming and clean production methods. It’s never too early for wine! From 11am – 2pm we’ll have the first in our series of summer BBQ’s. We’re very excited to have Jean’s Thai on Gloucester Road kicking us off. This small restaurant run by Jean and her family is a firm favourite among the bakery team and we reckon cooking some of the best Thai food in town. She’ll be serving up a couple of her best loved BBQ dishes – make sure you add some of her famous chilli sauces. It’s getting hard to remember now but the bakery started over 7 years ago from a borrowed kitchen off Whiteladies Road. Access was down a back lane, through a car park and up a flight of stairs – somehow customers did eventually find us but some days it was only a trickle. A chat with our neighbours from Planet Pizza and the offer to pop up on Saturdays outside their Gloucester Road restaurant has played a huge part in our story and we have never forgotten it. It allowed us to meet lots of new customers, try out our products and have at least one day a week of good trading to keep the business afloat. 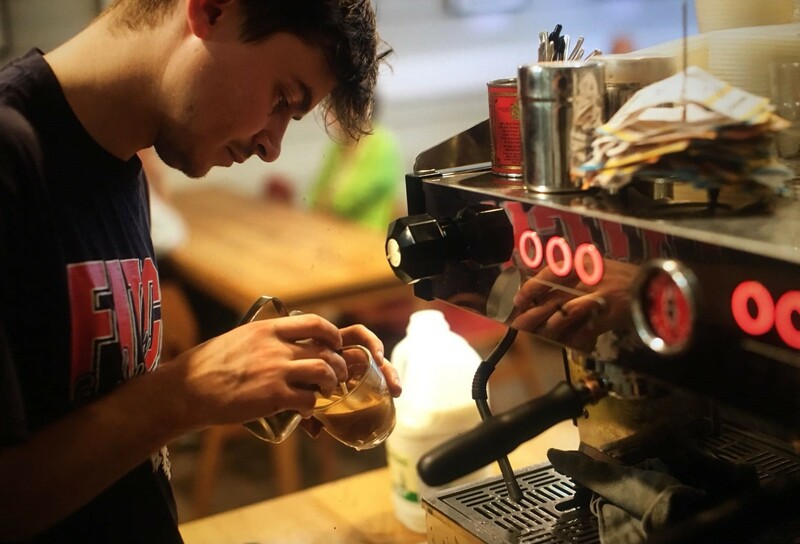 Bristol is a fantastic city to start a business in – independent businesses are a key feature of why its such a great city to live in and the spirit of support and innovation makes it an ideal starting point. But getting your foot in the door of a busy city can be tough, there is a vibrant market scene but they are well established and not always accessible to new traders. We wouldn’t be where we are now without a lot of help and support in the early days and we want to pass that generosity on. This summer we would like to offer the opportunity for new businesses to pop up at a series of Saturday markets outside the bakery. We’ll provide (for free) a gazebo, tables and all the coffee you need to keep you going. We are looking for businesses that have been trading for less than a year, with great ideas or products ready to meet new customers and shout about what you are doing. It doesn’t matter what you are doing – food, craft, service, charity – we want to hear from you! The markets will run on the first Saturday of the month – 5th May, 2nd June & 7th July with 4 traders each week. 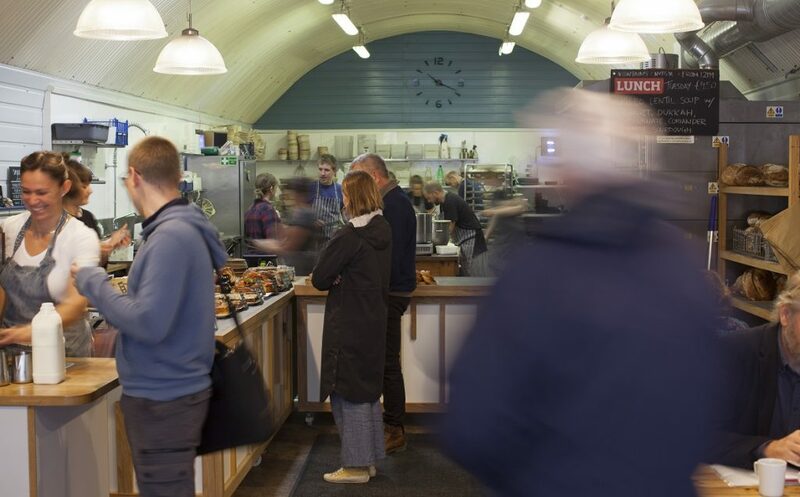 If you or someone you know would like to take part please get in touch by emailing shanea@hartsbakery.co.uk – tell us a bit about yourself, your business and why you’d like to have a pitch with us.